Depending on where your kids go to school you're burdened with THE LIST OF SUPPLIES. It can get a little ridiculous when they need 4 folders, a pencil case, a pack of markers, 380 crayons, a ream of paper, 29 notebooks, seventy #2 pencils with pink erasers, a cauldron, and a copy of "Advanced Potion Making". So you spend all the time and money gathering everything, your kids take it to school, and instantly they've lost it among the other 20 student's things because they all look the same. Which is why I'll be printing these labels on sticker paper (found at any office supply store) and adhering them to EVERYTHING. The labels are 2x3" so they also fit in business card sleeves that can attach to backpacks. 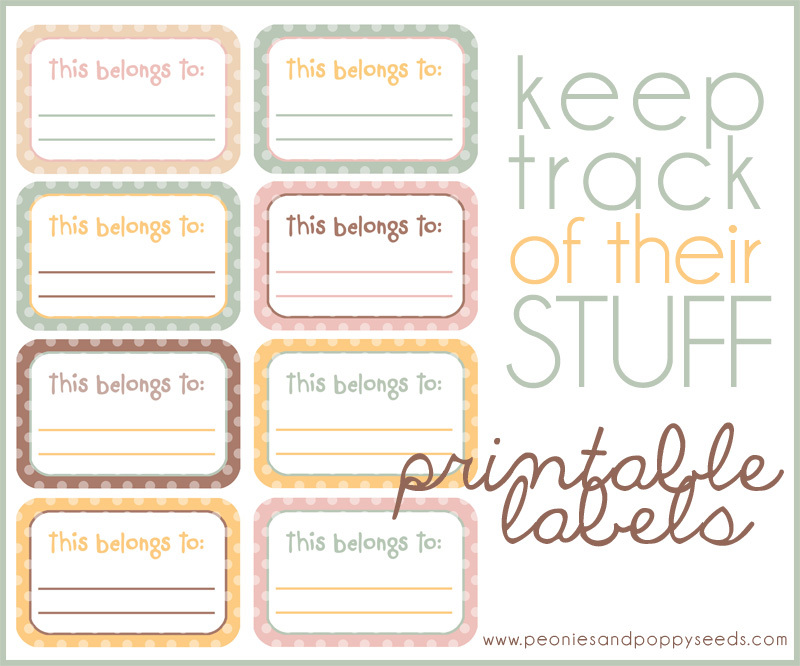 There are two lines on each label - one for a name and the other for a phone number, address, or email address. If my kids still lose their stuff this year I think I'll sick my copy of "Care of Magical Creatures" on them.